"The Israeli military industry exploits the occupation of Palestine, and specifically the siege on Gaza, as an arena to battle-test, invest in, and innovate military technology to later be marketed to the international community based on their effectiveness on Palestinian civilians," says the recent report penned by the 'Hamushim' human rights group, which campaigns against the occupation of the Gaza Strip and the West Bank. The NGO is run by the Coalition of Women for Peace, an Israel-based group partnering with the Nobel Peace Prize-winning American Friends Service Committee. According to the activists, the 'Great March of Return' protests in Gaza have also helped Tel Aviv to promote new army tech. 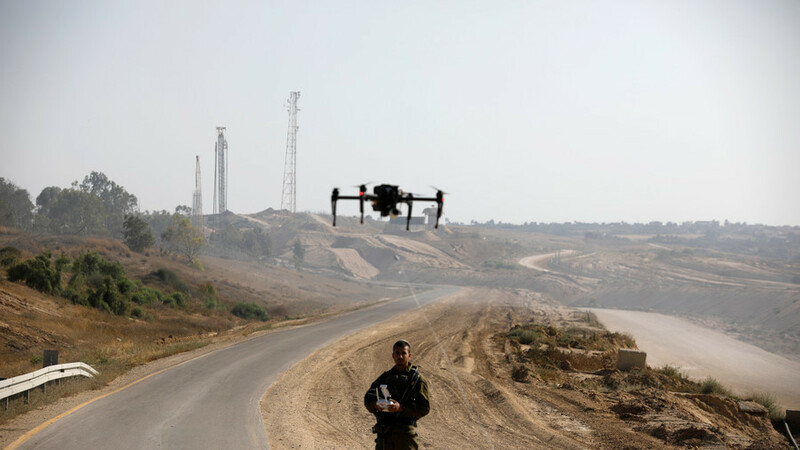 "Israeli media focused on the combat advantages of both in the military preparation for the Great March of Return and during the march itself," they wrote, noting that the clashes with the Palestinians provided an opportunity to test out Matrice 600 and Phantom 3 tear gas drones. The models, dubbed 'Sea or Tears,' were specifically designed for the border police as crowd dispersal tools. Another type of drone introduced against the Palestinians is the so-called 'Shoko Drones,' or skunk water drones, which bombard protesters with foul-smelling and very sticky liquid. After the deployment of drones was deemed "successful," the army purchased "hundreds" of them, the activists write. Some of the drones deployed along the Gaza border were tasked with shooting down kites rigged with Molotov cocktails. But, as the activists write, according to witnesses, the very same drones were used to fire rounds at people on the ground. The report says the Gaza protests became a testing ground for the extensive use of sniper fire to suppress protesters. Remington M24 and IWI Tavor rifles, as well as their ammunition, which is capable of leaving exit wounds expanding up to 15 centimeters (5,3 inches), were praised by the army and the media. Both the drones and rifles were presented at prestigious expos and defense conferences during the protests, the activists stress. The Gaza border fence itself got its share of advertisement, the reports notes, quoting the CEO of its manufacturer, Magal Security Systems: "Gaza has become a showroom for the company's 'smart fences,' as customers appreciate that the products are battle-tested." The Humashim says that "Magal is also a key provider of border systems for the West Bank apartheid wall. Following Trump's election, and his declaration of the construction a stronger border wall with Mexico, Magal's stocks surged by 19-25% on NASDAQ." The latest wave of Palestinian protests has been raging in Gaza since March 30. Clashes with the IDF led to over 100 Palestinian deaths. The UN General Assembly and numerous human rights watchdogs condemned Israel for the use of violence against the Palestinians. Israel maintains a right to self-defense, while the IDF has repeatedly denied human rights violations during the Gaza protests. The army blames the Gaza-based group Hamas for inciting bloodshed at the border and accuses its members of using civilians as human shields during riots.